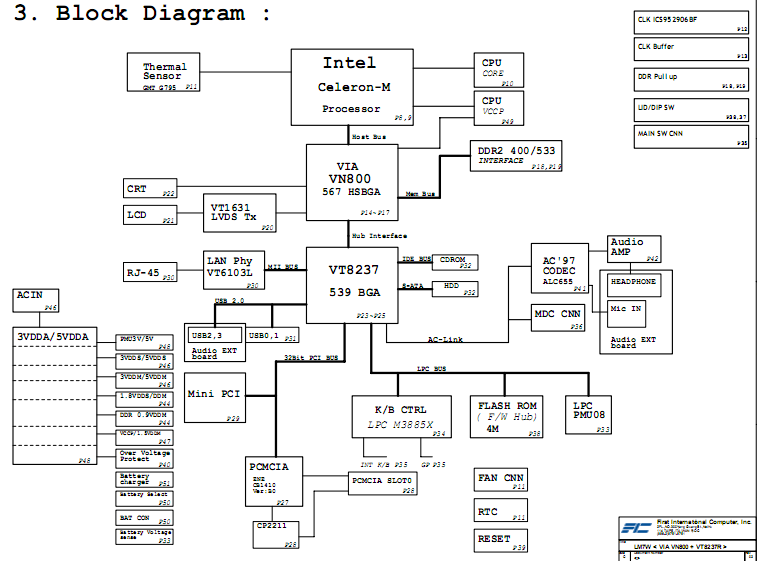 Fujitsu laptop/notebook motherboard schematic diagrams, motherboard circuit diagrams for repair. 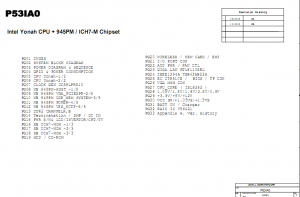 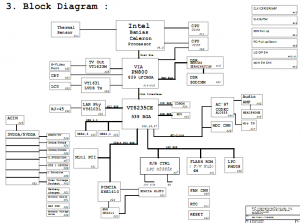 The motherboard schematic diagram(pdf) for Fujitsu AMILO A1640 laptop/notebook. 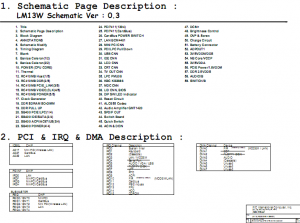 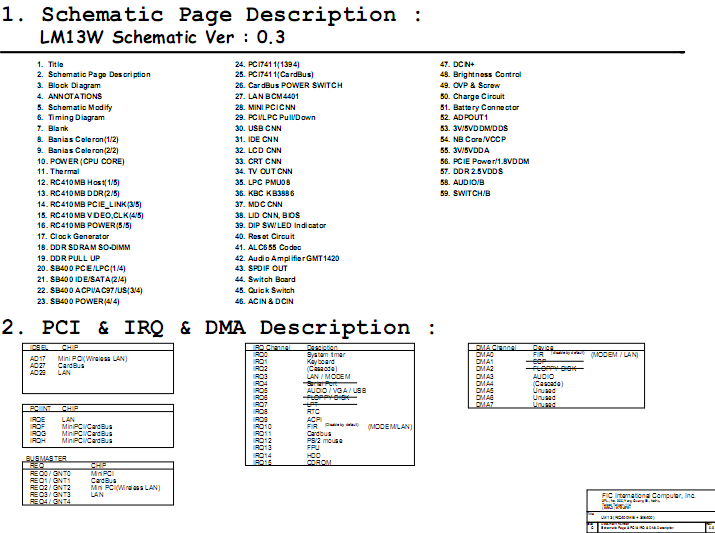 The motherboard schematic diagram(pdf) for Fujitsu AMILO A1630 laptop/notebook. 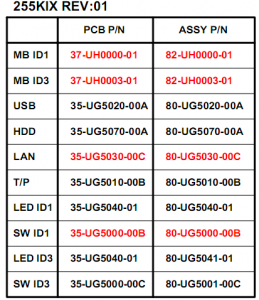 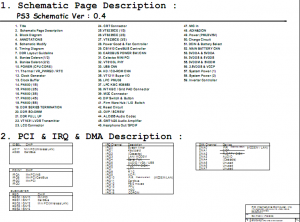 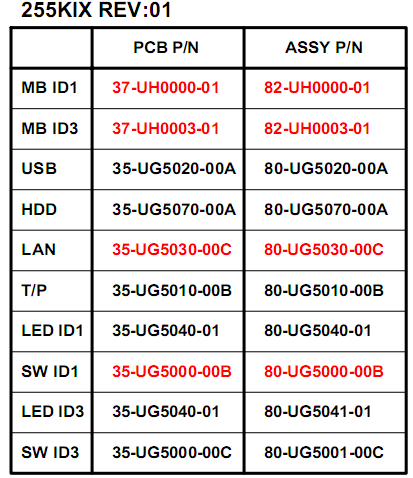 The motherboard schematic diagram(pdf) for Fujitsu Amilo PRO V2035 laptop/notebook. 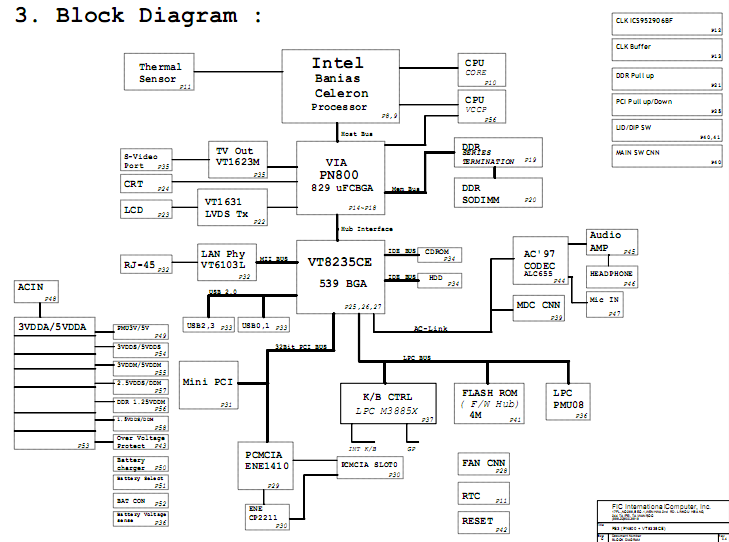 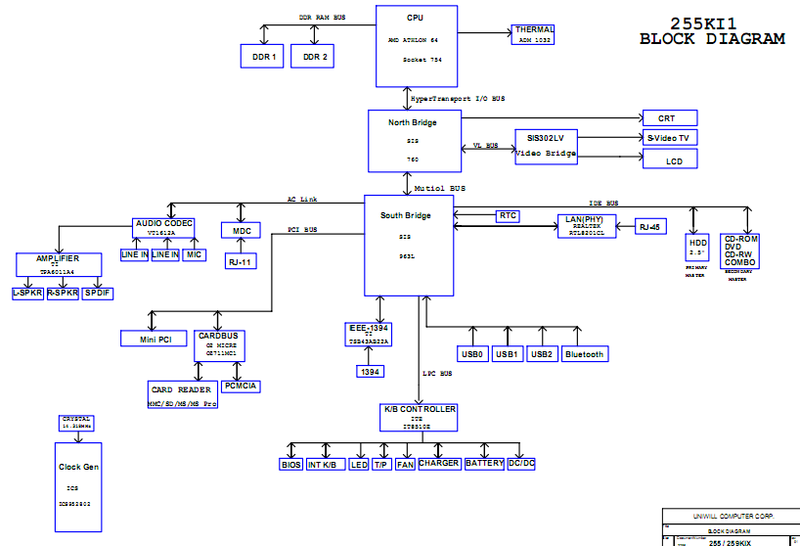 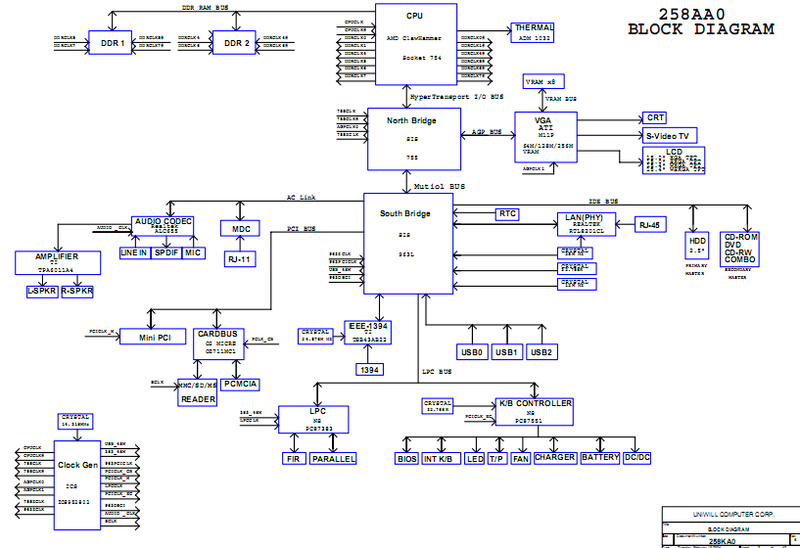 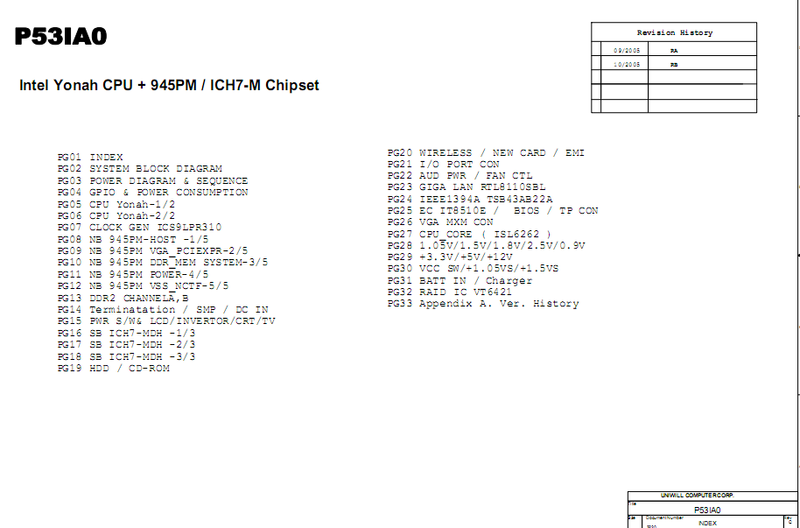 The motherboard schematic diagram(pdf) for Fujitsu Amilo PI 1536 laptop/notebook, Intel Yonah CPU + 945PM / ICH7-M Chipset, P53IA0. 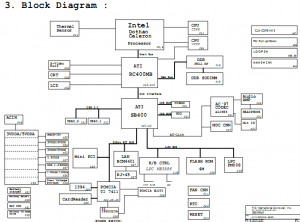 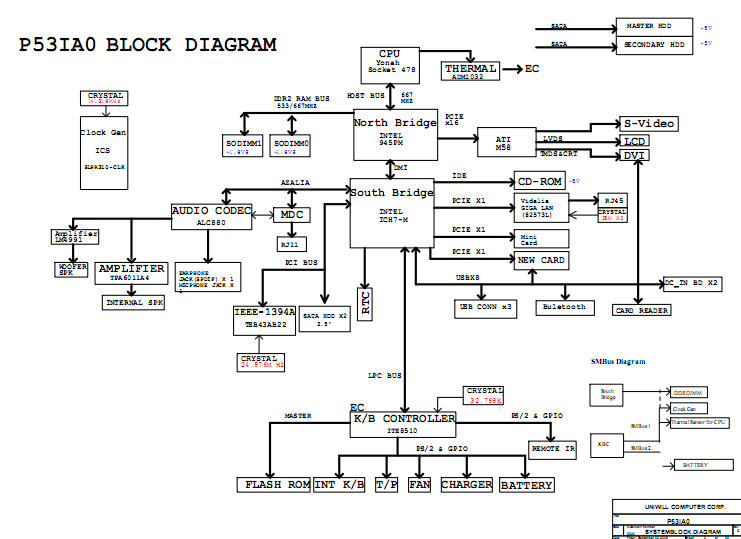 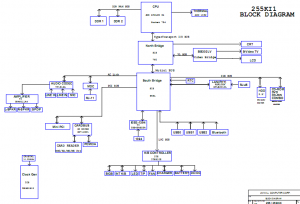 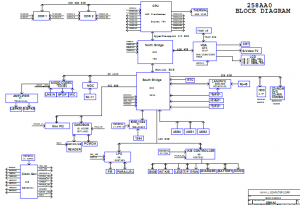 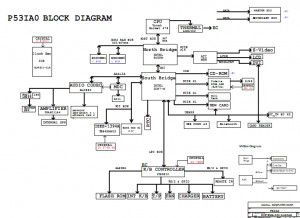 The motherboard schematic diagram(pdf) for Fujitsu AMILO L7300 laptop/notebook. 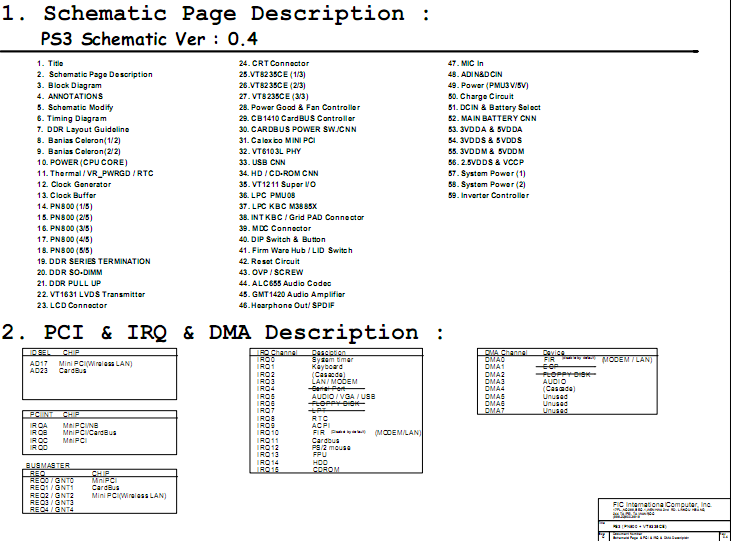 OEM: FIC International Computer, Inc. 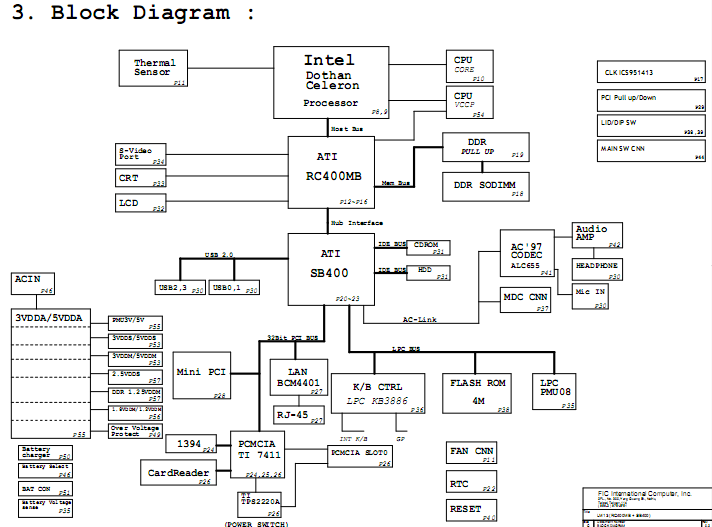 The motherboard schematic diagram(pdf) for Fujitsu AMILO L1310 and Fujitsu AMILO L1310G laptop/notebook.